Below please find the complete translation from the Spanish of Pope Francis’ video message to the young people of the Antilles. They are meeting as part of the 6th Antilles Episcopal Conference Youth Assembly, from July 10-23, and are focusing especially on how to transform the Family in the Caribbean in line with Amoris Laetitia. I greet with affection, you young people who want to transform the Caribbean family. It’s a big job, eh! You obviously have courage and want to get involved. So go ahead! It's a challenging issue. And you're young. But I do wonder: are you young people, or young people who have grown old? Because if you are young people who have grown old, you cannot do anything! You have to be youthful young people! It takes all the strength of youth to be able to change things. And the first thing you need to do is check to see if you have made yourselves too comfortable. It’s not a good thing if you have. You need to make it uncomfortable for those who have made themselves too comfortable, and get involved. You want to change things, you want to move forward. 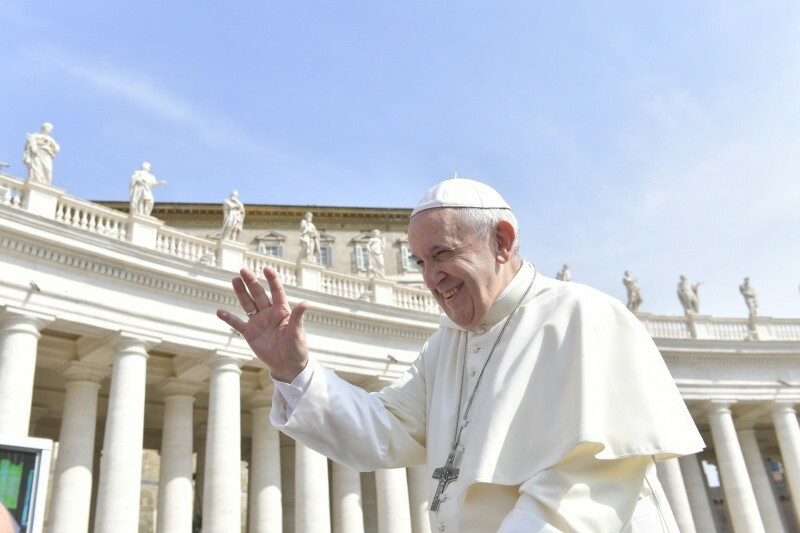 You have taken seriously the indications of the Post-Synodal Exhortation on the Family, and you want to move ahead with transforming the family of the Caribbean. You want to transform it today for tomorrow: working in the present to build the future. And today, if you want to understand the present, you must know how to describe it, how to understand it, in order to face tomorrow. To make the journey from today to tomorrow, you need the teaching on the family, and you can find it in the Chapter Four of the Exhortation: the heart of it is there. Study it, examine it, and you will have the guidelines you need to move forward. Alright for today and tomorrow: but we also need yesterday. We can’t imagine tomorrow without considering yesterday. We can’t contemplate the future without reflecting on the past. You are getting ready to transform something that has been given to you by your predecessors. Your history comes from yesterday, your traditions come from yesterday. You have roots. And this is what I want to focus on for a moment: you can’t do anything in the present, or in the future, if you are not rooted in the past, in your history, in your culture, in your family; if you don’t have deep-seated roots inside you. It’s from your roots that you will get the strength to continue. None of us, neither you nor me, were manufactured in a laboratory: we have a history, we have roots. And everything we do, the results we achieve, the beauty we create in the future, all comes from those roots. A poet concludes his great poem with this verse: "Everything the tree produces, derives from what it is beneath it". You too, always return to your roots, refer to your grandparents and your parents. Talk to them. And then bring it all with you into the future. That is transformation: when there are roots, then you have the strength to transform the family. It is a transforming tension. We cannot transform without tension. I told you how the heart of Amoris Laetitia is in Chapter Four. How to live love. How to live the love of the family. Discuss Chapter Four with one another. You will find a lot of strength there to go forward and to transform things. And don’t forget something else: love has a strength all its own. Love has its own strength. And love never ends. St. Paul says: "Faith and hope will end when we are united with the Lord, but love will continue with Him". You are transforming something that is for all eternity. This own strength of love that will remain forever. You have a lot of work to do! Keep going. May God bless you. I pray for you, and I ask you please do not forget to pray for me. Goodbye.